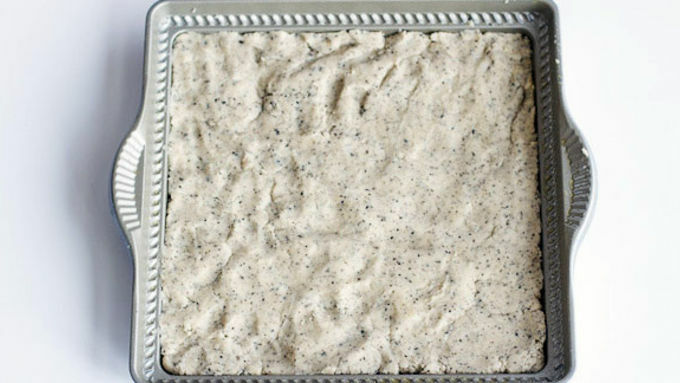 Grease a square shortbread cookie mold or an 8x8-inch baking dish with cooking spray or butter. Make sure to grease it well. Set aside. Add the butter and 1 teaspoon vanilla to a large bowl and beat with an electric mixer until well combined and creamy, 1 to 2 minutes. Add 1/2 cup powdered sugar and beat until combined. Add flour, tea leaves and salt and beat again just until combined. Transfer dough to prepared pan and press down with your fingers to make an even layer that covers the bottom of the pan entirely. Cover the dough with plastic wrap and place in the fridge for 30 minutes (or up to one day). Bake until edges are just golden and cookies are still soft, 20-25 minutes. 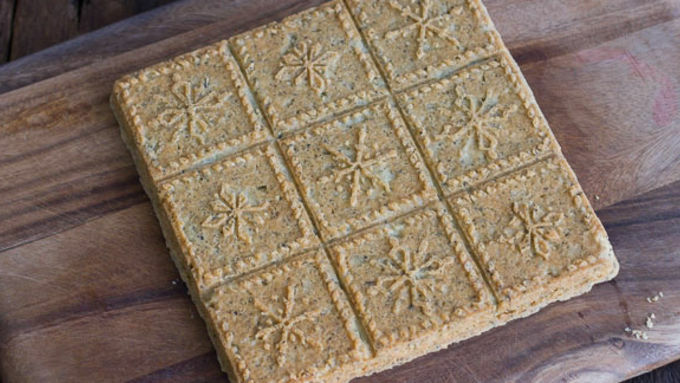 If you did not use a mold, cut the cookies in 9 squares and then set aside to cool for 10 minutes. Loosen edges with a sharp knife and invert the cookies out onto a flat surface. Cut or break into individual cookies. 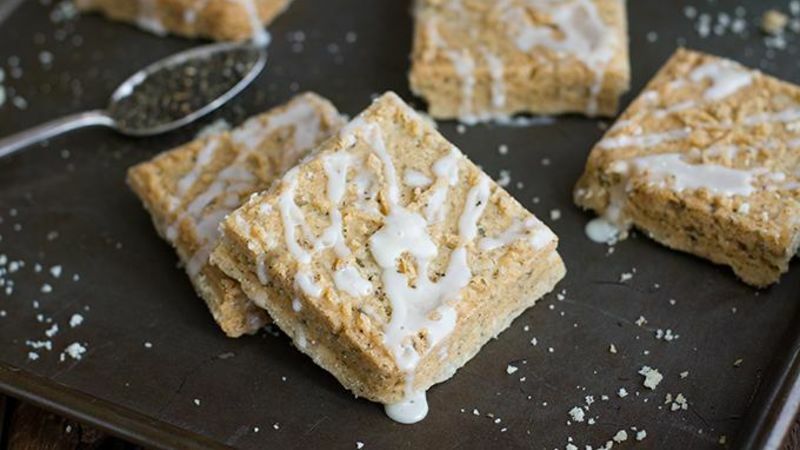 Drizzle with the glaze and serve warm or at room temperature. To make the optional glaze, mix together 1/2 cup powdered sugar, 1 tablespoon milk and 1/2 teaspoon vanilla in a small bowl until smooth. If needed, add a little milk to thin. Baking with tea. 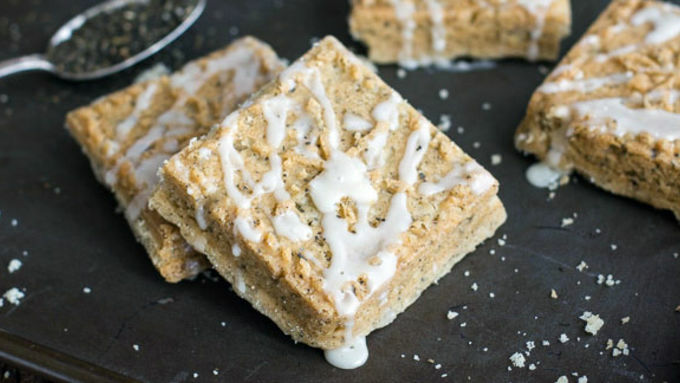 Very cool – especially when these Earl Grey Shortbread Cookies are the result! I am told that the new thing is cooking with tea. At first, this didn't really excite me at all. You see, I love the idea of tea, but I cannot drink it. I have tried, over and over, but I'm just not a tea drinker. Hot chocolate? Most definitely. But warm tea? Nah. With that said, I have accumulated my fair share of teas hoping that every new variety would be the one for me, but no such luck. But then I tried adding the tea to my cookies. Yes, yes, COOKIES. I was skeptical, but you know what? These cookies are so so good, and I have decided that all the tea in the cookies cancels out all the butter in them. Don’t cha love the way I think? Whether warm or room temperature, these cookies are amazing.